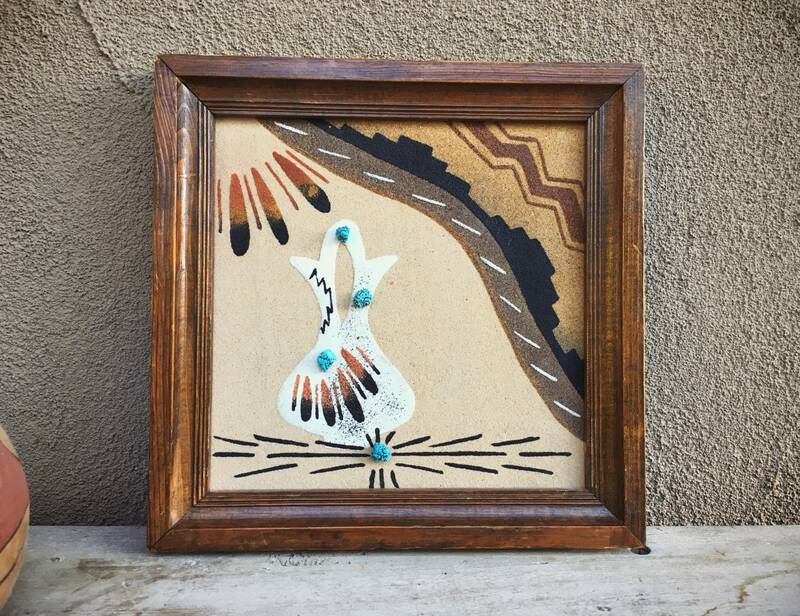 Here we have a fabulous sand painting of a traditional Navajo wedding vase, and in the background geometric and other designs in earth tone colors. The title of the sand painting is "Wedding Vase and Navajo Rug," written in pencil on the back. 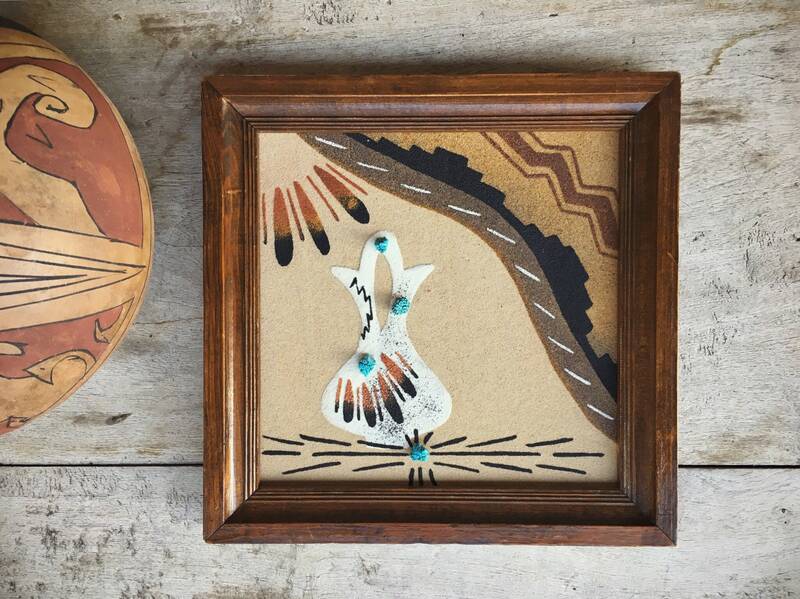 What makes the piece especially interesting are the four pieces of natural turquoise glued onto the painting surface, three on the wedding vase and one just below it. The piece is unsigned, and so we can't say with certainty that it is Navajo, but it came with a lot of other sand paintings, most of which were signed and attributed. The one is placed into a wood frame to hang on the wall. 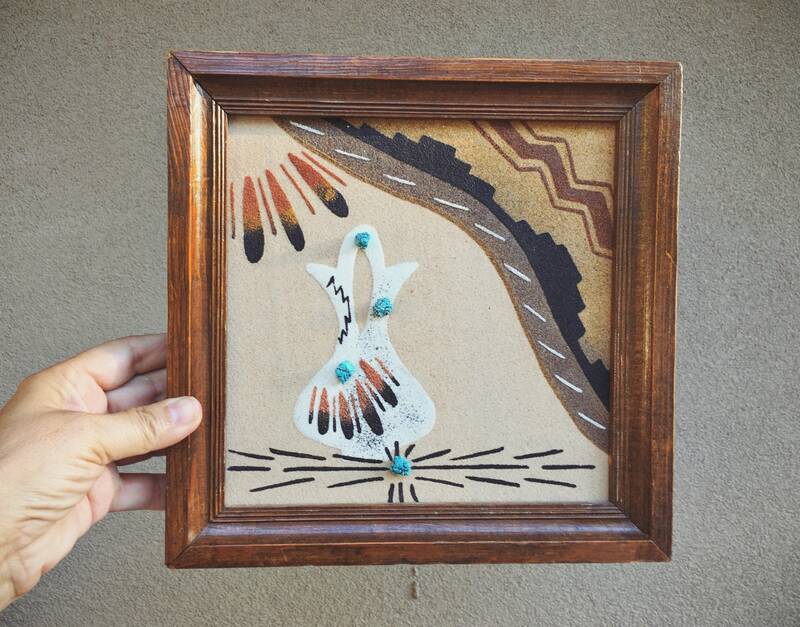 I think it'd be a great wedding gift especially for an older couple that has all the essentials of home and would appreciate the symbolism and the cultural aspect, and would also appreciate a pre-loved piece. 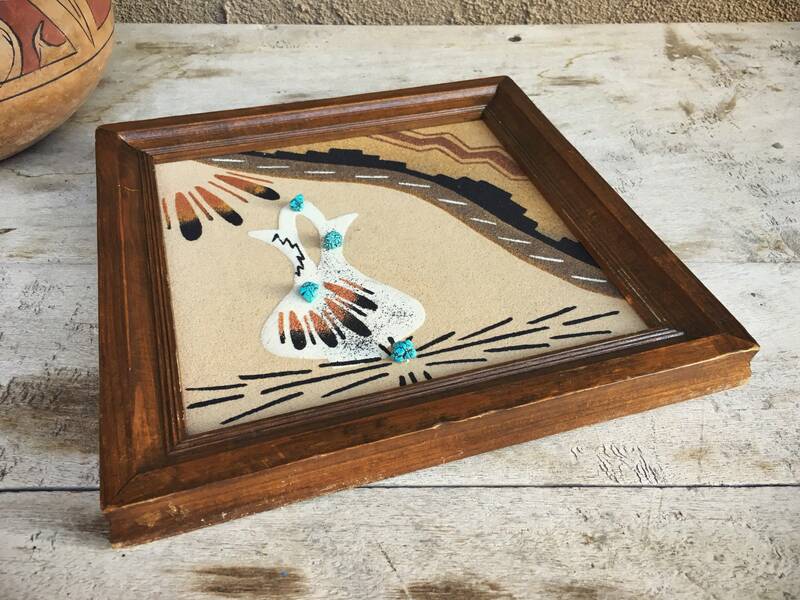 The sand painting is 8" square and the frame is 9-3/4" square and just under 1" thick. The sand painting is in good condition. I've checked carefully to see if perhaps there might have been other pieces of turquoise that could have fallen off yet I see no glue residue. The frame has some dinging on edges and sides from wear but the painting is in good condition. 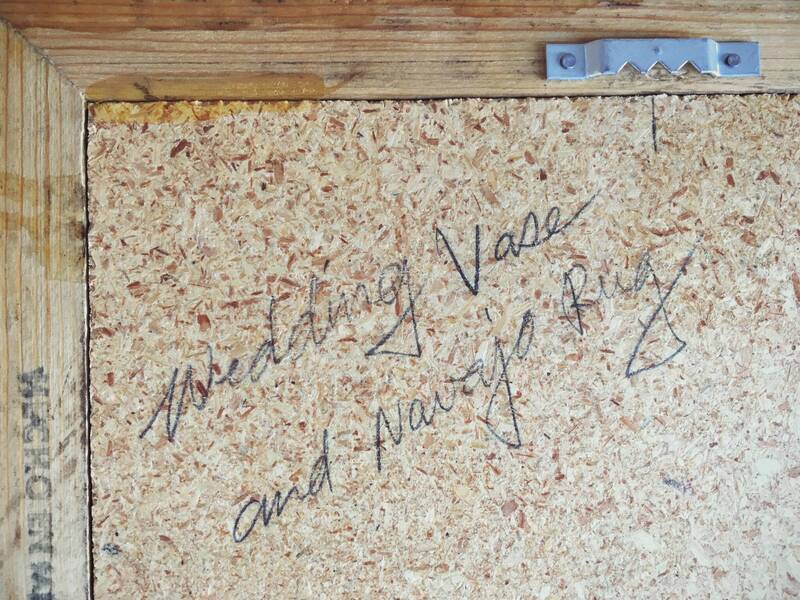 Wedding vase and rugs--two essentials for a new life together.